Later than to North East Asia, Hallyu has come to South East Asia mainly from Second Korean Wave. Hallyu spreads over Thailand, Vietnam, Singapore, Indonesia, Malaysia, Philippine, Cambodia. In this paper, we study the feminitive attraction of Hallyu in South East Asia with case study of Vietnam. We pay attention not only to female rereivers but also to feminitive ways of captivation of Hallyu. So, the term “feminity” is used not only with the sense belongs to sexology but also relating to yin-yang principles. The characteristics in feminitive attraction of Hallyu in South East Asia will be made clear through comparison, on one hand, with influences of American, Chinese, Japanese, Indian pop cultures in the area, and on the other hand, with Hallyu influences in North East Asia, West Asia, North Asia. To understand deeply nature of feminitive attraction as a crucial element for Hallyu’s success in South East Asia is necessary for Koreans to controlling Hallyu, to creating a genuine culture and “building a cultural Silk Road”. Hallyu (Korean wave) is a regional phenomenon which influences on many aspects in contemporary cultures of many Asian countries. Hallyu’s impacts on different contries are not uniform but very various (in pace, scope, means, importance…). South East Asia is a specific area where the process of receiveing Hallyu has its own characteristics. Studying Hallyu’s influences on South East Asia will make contribution to understand contemporary cultures of both Korea and South East Asia, will help both sides to enhance cultural exchange and cooperation. The process of Hallyu in some countries in North Asia, reasons for its success as well as its problems, Hallyu’s prospects in the area… have been presented by many journalists, researchers, both Korean and North Asian. But there are not many papers about Hallyu in South East Aia. The fact that Hallyu’s viewers, fans or customers in Asia are mainly female has been noticed by some authors. But there is not any research which focuses on this phenomenon. Applying interdisciplinary approach, we use knowledges and methods of relating disciplines (history, philosophy, ethics studies, sociology, culturology, economic…) to study various faces of Hallyu. The term “Hallyu” appeared first time in Chinese newspaper in mid 1999 when CDs of Clone and H.O.T music bands were presented. In fact, Korean wave began in 1993 when the drama Jealousy (Jiltu) was excitedly welcome in Fukuoka, Japan. The success of Winter Sonata in 2003 is considered as the landmark of Second Korean Wave. While American and Japanese pop culture target to young persons, Korean Wave’s subjects are women, both educated people at the age of 20 and reservative people at the age of 40-50. Everywhere in Asia, Hallyu’s receivers mainly are female. Male audiences are more indifferent (althought some films like My wife is a gangster can be attracted both sexs). South East Asian female fans of Hallyu are probably more “crazy” than people in the other areas. During Jang Dong Gun’s first trip to Vietnam in 1998, he was shocked when thousands of women mobbed his plane at the Noi Bai airport (Ha Noi) and chased his car all the way to his hotel. In Thailand, after Rain’s concert during June 2-3, 2007, Pathumwan Princess Hotel spent 5 million Bath to renovate the room he stayed. His female fans booked this room for 100,000 after he checked out to get “Rain’s touch”. One of typical examples is Lee Soo Man, the founder of SM Entertainment, a major producer of Korean pop music. He started out by surveying teenage girls (not boys) what they wanted to see in music groups. With the informations, he started his process of making Hallyu stars. Male celebrities from South Korea are handsome, sensitive men playing the roles of sweet and romantic characters who shower women with unconditional love. They come when Asian women have been tired of the martial arts movie heroes and the stereotypical macho men of American, Japanese movies. The Hallyu stars’ visits to market cultural products as well as business commodities in Asian countries have often been organized. They are much more often and much more monumental, impressional than the Illyu (Japanese Wave) stars’ visits. The ambassadors / spokemen for Hallyu coming to South East Asia mainly are male. In Japan, BoA, “The Princess of Rock” is admired as passionately as Rain. But in South East Asia, Hallyu’s fans prefer actors than actresss. When the girl music group Baby V.O.X came to Vietnam, their show are not very hot like Kangta and Rain’s cases. Jang Nara’s coming produces a stir not strongly as Jang Dong Gun’s. As in other areas in Asia, TV dramas have taken the lead in creating Hallyu in South East Asia. Such role in Illyu (Japanese Wave) belongs to manga (illustrated books) and anime. In American, Chinese, Japanese, Indian movies there are also many films which realistically depict love and personal relationship, but not many orienting to romantic, true, uncondictional love and filial piety as in Korean melodramas. While other countries’ films do not hesitate to present negative aspects of family and society, Korean films focus on warm personal interactions in a caring and benevolent society. Less violent and less sexual than Western movies, Korean movies fit tradutional values of South East Asian peoples. Tending to end with the triumph of good over evil, Koeran films seem to be simple but it’s theirs moral values that can appeal Asian peoples, both North Asian ones sharing Confucian principles which have been gradually lost in rapid modernization and South East Asian ones deeply believing in goodness, kindness, compassion… which they not also already had known and desired by instinct but also are influenced by Indian religions (Buddhist or Brahmanist Karma-Samsara…). The most distinctive of Korean films is their weaving scenes about ancient culture (houses, garment, cuisine, medicine …), scenes about contemporary urban civilization (fashions, accessory items…) into main plot line about the daily life of ordinary family. The image of a Korea, traditional and at the same time modern, add to aesthetic and cognitive enjoyments of Korean films. Many South East Asian audiences find Korean films more beautiful and depicting life more vividly than Japanese, Chinese ones. Korean pop music is recreation of American and Japanese pop musics but having its own sensibility which derives from Korean traditional love of music and dance. Rarely are there on the world peoples like dance music and treat it with contempt so much as Korean. Today, Koreans enjoy dance music even on tourist busus. Combining visual and auditory elements; incorporating dynamic rhythms, stylish and exciting dances and lyrics progressive or rebellious, Korean pop music is easily fascinating to masses, especially young fans. South East Asian masses are especially captivated by “Cookin’ Nanta” – a fabulous musical show which turns kitchen pots, pans, dishes, knives, chopping boards, bottles, brooms... into percussion instruments; integrates Korean SamulNori with Western style of performance. Nanta has come to Vietnam the first time in 2004 and the second time in 2006. With messy, merry rhythms and beats and humor…, Nanta shows have become unforgetful to audiences in Ha Noi and Ho Chi Minh City. The craze for Korean culture is stretching from content-based products like movies, pop musuc to such hardware as cosmetics, clothing, food, accessories, mobile phones, and the likes. Such things mainly belong to feminitive needs. Having been affected by Hallyu’s stars, many Asian women want to look more beautiful. In the past, Vietnamese women like French brands of cosmetics (Lancome, L’Oreal…) but now they prefer Korean ones such as Lacvert, Missha, The Face Shop…which they think more suitable for Asian skin. Korean brands are bought even more than Japanese ones (Shiseido…). Many Vietnamese girls buy The Face Shop because they are infatuated with its handsome model Kwon Sang Woo, the actor of the film The stairway to heaven. For cosmetic surgery, Korea become Asia’s new medical tourism hub, surpass Singapore, Thailand… While each year some 10.000 Japanese and Chinese women journey to Korea, very small number of women from South East Asia can do that. However, many come to inland surgeons. They pay much attention to skincare, hair dyeing… In Ha Noi and Ho Chi Minh City, there are beauty centers with Korean hair stylists. The young in South East Asia adopt the clothing made cool by Hallyu’s stars. If Illyu’s influence is basically on performance garment (“Cosplay” means playing with costumes in shows imitating heroes in manga), Hallyu’s influences on everyday wearing (garment, shoes, Ganji’s skirt, Kangta’s earings...). Teenagers like to have their photo taken with Hanbok. Not few of Vietnamese and Thai women began to eat and cook Korean food. They like kimchi. 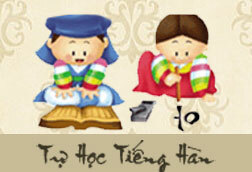 In Ha Noi and Ho Chi MinhCity there are Korean restaurants. Indonesian women find Korean spicy dishes familiar to their traditional taste. According to a survey by the Korean National Tourism Organization, nearly 6 in 10 visitors from South East Asia come to Korea because of Hallyu. Since 2005, millions of tourists each year coming here are from the Philippines, Singapore, Malaysia, Indonesia, Thailand. In 2005, from Thailand, 102,588 tourists entered Korea, growing 31,1% in comparison with the previous year, achieving the highest on record for 23 last years. Tourists like to see the locations where famous dramas are shot. In Malaysia, about 10,000 tour packages to South Korea were sold in the first two days of a travel fair after “Yonsama” fever, compared to 6,500 packages sold at the last fair. Malaysians of a tropical coutry with uniform weather throughout the year “captivated by the winter scenery shots”, romantic scenes from Winter Sonata. Samsung, a boring Korean chaebol a decade ago, is now one of the World’s coolest brands. Compared to Motorola and Nokia, Samsung has a smaller share of the mobile phone market but Samsung is the only brand continuously increasing its share over the past three years. The success of Samsung is attributed, in large part, to Hallyu. And it’s worthy to note that Samsung is skewed to female users more than the other brands. In 2001, Daewoo hired Jang Dong Gun as its Vietnam spokesman and over 5 years, Daewoo refrigerators' market share in Vietnam went from a blip to a robust 34%. Hyundai is not such successful in South East Asia. Partly because Hyandai’s users who are manily middle-aged businessmen do not like watching Korean soaps. Among pop cultures, Korean appears rather late. Consequently, many of Hallyu’s fans in South East Asia had been fans of Ameriacan, Japanese, Taiwanese products before. There must be reasons for them to turn toward Korean wave. Due to remnants of Japanese and American imperialism, there are anti-Japanese and anti-American sentiments in South East Asian peoples. In this situation, Korea more easily receives South East Asians’ affections. Vietnam is probably an exeption in the area because Korean soldiers had participated in American-Vietnamese war. But Vietnamese people do not accumulate inward hostility, they are ready to close the sad past and head towards a happy future. Friendly relationship between Korea and South East Asia is a favourable circumstance for Hallyu’s spreading. When watching the image of modern Korea on Korean movies, if the viewers in Japan, Taiwan, Hongkong… feel a sense of identification, the viewers in South East Asia feel a desire to enter into that world. Through Korean media products, they find Korea as a model intimate and worthy to follow. That’s why South East Asians quickly are captivated by Hallyu which “function as a multidimensional theatre in which experiences of Korean modernity are narrated and performed”. The first, Korea was a small and poor country with a backward agriculture as most of South East Asian countries before its leapfrogging to a hightech information society in less than four decades. Korean pattern of “compressed modernity” is very attractive to the area. The second, in the process of modernizing country, Korean still uphold their Asian cultural values, use these values as a motive power to develop economy as well as reform politics. South East Asian people can find in Korea exotic images of modern cities and at the same time familiar traditional ideas. Korean mode of development satisfies South East Asian’s needs for both material wealth and ethical exaltation. This is contrast to Japanese mode of development. From the Meiji Reastoration of the late 19th century, Japan has been guided by the ideology of leaving hopelessly backward Asia and joining civilized Europe. Japan is the first Asian country which succeeded in modernization but it become more and more estrange to its neighbors in South East Asia. The third, for much of South East Asians, Korean contemporary society with participatory democracy, mature civil institutions, active labour unions… is a model healthier than European or American models. Relating economic relations, Hallyu brings to Korea 4.5 billions USD everyear because of its pushing up Korean export and tourism. In terms of pattern of consuming Hallyu’s products which was proposed by The Samsung Economic Research Institute in 2005, most of South East Asian countries can be classified in category of the third stage – the stage of buying “Made in Korea” products (The first stage is that of simply enjoying Korean pop culture, and this is applied to Egypt, Mexico and Russia. The second stage involves buying related products such as posters, character items, and tours; Japan, Taiwan, and Hong Kong are classified in this category). Relating to political aspect, Hallyu has been credited as helping improve relations between Korea and other Asian countries. It makes contributions to heal past war wounds between Korea and Japan, Korea and Vietnam. Korean living overseas also have profited from the popularity of Hallyu. Shim Doo-Bo, a Korean assistant profsessor at Singapore’s National University, wrote in his reseach paper that most of South Korean housewives he interviewed in Singapore “feel that they are better treated by local Singaporean people after the immense popularity of Korean television dramas and films”. By using cultural similarity between Asian nations as its basic, Hallyu can be an important start to building an Asian cultural block to the flow of Western or American cultures and constructing an Asian community based on a mutual understanding. But an excessive commercialism will be a threat to the development of Hallyu. According to Lee Dong Yeun, a cultural critic, (in his paper titled as “Korean cultural capital’s phenomenon and cultural nationalism”), if Hallyu is limited to unilateral export of popular cultural products and becomes viewed as “a product of shallow capital culture” with an export-oriented state and short-term capitalist logic, if Hallyu like a goose that lays golden eggs and which is on the verge of being butchered by the greedy farmer (an ensemble of agents responsible for the engineering of Hallyu products, including Korea’s mainstream media, government officials, intellectuals, and culture industry…), it will have little hope of sustenance. Hallyu is also a success of cultural nationalism emphasizing the existence of “Korean authentic culture”. But if Hallyu is driven by aggressive nationalist impulses, it will be at its worst. Park Jin-Young, one of Korean famous celebrity music producer has said many times that “It only hurts us if Koreans stress the Korean label too much”, “The press says things like ‘The Korean wave is conquering Japan and China,’ and that leads to anti-Korean wave sentiment overseas”. There are already resistances to Hallyu in Japan, China, some of South East Asian countries. People will surely be hostile to Hallyu if it becomes a kind of chauvinist nationalism, a variation of the Zhonghua (ethnocentrism) ideology of China and the cultural imperialism of the Co-prosperity Sphere of Great East Asia of Japan. In current studies, many scholars make questions about the waning of Hallyu in Asia and in South East Asia. According to a Korean Film Council’s report, in 2006, Korean films suffered a 68% drop in international sales with the exception of Thailand which rose 119%. The number of Asian tourists visiting Korea has declined. Besides the reasons relating to negative consequences of Hallyu, there is one other reason for the declining of Hallyu in South East Asia. It is the gap which local peoples find between Korea image through Hallyu’s products and reality. In Vietnam, one of Hallyu’s influences is the phenomena of Korean-Vietnamese marriages. Vietnamese brides’ problems act upon local people’s reaction to Korean wave. To expand Hallyu’s extension and to deepen its inner potential, it is imperative to repair its negative aspects, to build a healthy regional economic, political, cultural sphere. It’s necessary for Hallyu to diversify the cultural tastes of the masses to satisfy not one subject but diverse subjects. They include women, men, youth, the middle-age, and diverse people and communities with their specific spiritual needs. Park Jin-Young said: “You can become a global success if you do something well, whether it is Korean or not. We still lack diversity, yet are strong in uniformity.” Park dressed Rain, a K’pop star, in Chinese costume and incorporated kung fu moves into his dance routine at a concert in China. If Hallyu’s cultural products surpass “Korean authentic value”to contain “Asian values” then it will be more appealing to non - Koreans. It’s necessary to establish healthy chains of communication and authentic means of understanding. For example, education programs to guide Korean tourists, missionaries and businessmen on various traditions and cultural practices of Southeast Asian nations may limit the tension between Korea and South East Asia. It’s necessary to encourage cultural exchanges and the coexistence of multiple cultures. For example, recently, a high-level Vietnamese government official infomed that Vietnam will stop broadcasting South Korean television dramas unless the South's TV networks introduce Vietnamese shows on a more equal basis. (Many other countries in South East Asia surely have similar needs). Responding to this, the broadcasting regulator KBC and the foreign ministry have given a "Vietnamese cultural week" to introduce a range of Vietnam's cultural products to Koreans. And KBC are considering recommending cable and satellite TV channels to launch programs designed to introduce Vietnamese dramas. 1.Cho Hae Joang 2005: Reading the Korean wave as a sign of global shifts. University of Auckland, Cornell University, and the University of California, Santa Cruz. 5. Soo-Jung Kim 2006: A new trial about the 'Korean-Wave' over the glocalisation. University of Incheon, Korea. Hội thảo khoa học quốc tế "Hoàng thúc Lý Long Tường và mối quan hệ hợp tác Việt Nam – Korea từ quá khứ đến hiện tại"